Philanthropist and impresario Mr. Barrett Wissman and cellist and composer, Ms. Nina Kotova have created a sanctuary for art, music and sustainability in the American West. 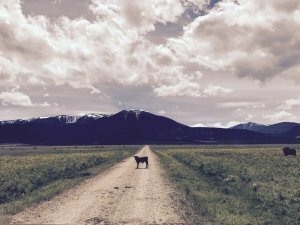 ROSCOE, Mont., Sept. 6, 2017 /PRNewswire/ — With breathtaking views of the Beartooth Mountains, 90 miles northeast of Yellowstone National Park, The W Preserve launches this week to begin its journey as a sanctuary for artists and musicians seeking a creative escape from everyday life. W Preserve provides a common meeting ground for artists, musicians and thinkers to incubate ideas, collaborate, develop their work and perform in a natural setting of spiritual beauty. “We invite world renowned artists and musicians to explore, create and perform in a setting that rejuvenates the soul,” says founder, Nina Kotova. Beginning in the summer of 2018, W Preserve will host its first events featuring musicians and artists, handpicked to share in the amazing experience that is W Preserve. “We have found peace and stunning beauty in the Montana mountains that inspire great art and music. We want to share that experience with others.” explains Barrett Wissman. Founded by philanthropist and impresario, Barrett Wissman and cellist and composer, Ms. Nina Kotova, W Preserve is a neutral non-profit gathering place free of any overarching political, artistic or economic agenda. For more information, visit www.wpreserve.com.